The New York Police Department (NYPD) may end up using Google Glass in order to more effectively fight crime. According to recent reports, the police department will be assessing the usefulness of Glass over the next few months and in order to do so, it will be using the devices to see where they could make a police officer’s job easier. Although it seems obvious that there are numerous ways that a piece of technology like Google Glass could be helpful in the eyes of a police department, we are still unsure how the NYPD plans on using Glass. The partnership between the NYPD and Google will occur through the Google Glass Explorers project, since the device has yet to be released to the public. Simpler technologies like cameras have already been used by some police departments as a way to more effectively document a case while also keeping police officers in check while on the job. As effective as basic cameras have been, there are some concerns as to how Glass would be used and whether or not it could be detrimental to privacy. It seems plausible that simply using Glass as a camera would be very useful for police officers, as it would allow them to more easily record crime scenes and document whatever occurs while in the field. 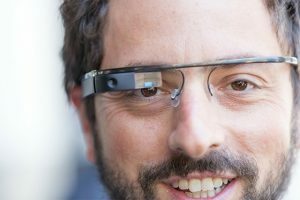 The current generation of Google Glass is still quite limited but in future iterations, the amount of features present is bound to increase. So, if police departments like the NYPD begin to take advantage of Glass, the potential for privacy issues will continue to rise. Summary: The New York Police Department has begun to look into Google Glass and how it could be an effective tool for police officers. Although the department has yet to deploy Glass in the field, it may do so in the near future.